And why hasn't anyone been held accountable? Because Barack Obama invoked "executive privilege" keeping government documents involved in this scandal out of the reach of congressional investigators. In a couple of months we should know if that action by Obama holds us judicially. -W.E. "A lot of the people that were at the head of 'fast and furious' haven't been fired, not to mention a lot of them are now in higher positions then they were before. 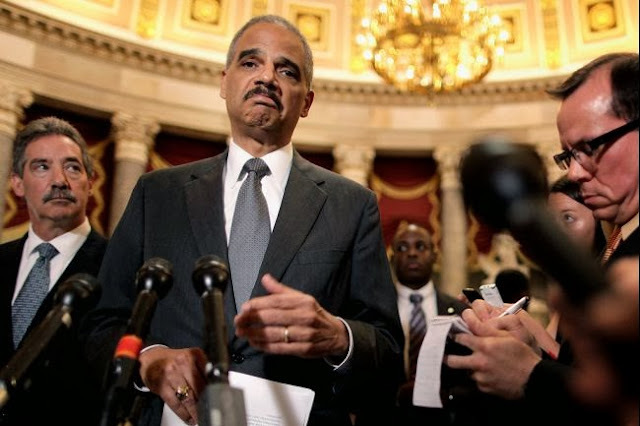 And there's not a lot that Attorney General Holder will admit, but one thing he does admit, that we are going to see lots of murders, lots of deaths down the road as a result of this operation and we are talking about hundreds of Mexican citizens already killed, we are talking about Border Patrol Agent Brian Terry here in the United States being killed. And, let us not forget that these guns are being used by cartel members against Chiefs of Police, against Public Officials."